MiniTool Power Data Recovery is an all-in-one free data recovery software home users that helps to recover deleted files and data from damaged/reformatted hard drives. 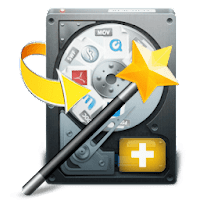 It's an easy-to-use file recovery tool, that doesn't require a technical background to use it, all the data recovery steps are logical and easy like 1-2-3. Just follow the data recovery step, and you will get your lost data back. Minitool data recovery tool support data recovering from hard disk and RAID devices, CD, DVD disks, memory card, memory stick, and flash drive. Moreover, it supports all common file systems: FAT12, FAT16, FAT32, VFAT, NTFS, NTFS5 and ISO9660, Joliet, UDF File system. In case MiniTool Power Data Recovery is not working well, install this Visual C++ package. Disclaimer: Direct downloads for the lastest version of MiniTool Power Data Recovery Free Edition 8.0 are provided by the official software's author, we can't guarantee safety, availability or download speed. Moreover, we don't and we won't provide any pirated/illegal versions or tools. We recommend you to avoid it as these methods can harm your device. If you like the software, buy it to support the developers. (We provide software discounts for many worldwide brands).